&nbsp;Why do you need a VPN for Australia? &nbsp;Is it Legal to Use a VPN in Australia? Whether you live in Australia or are just visiting, the best thing you can do to protect your online privacy and access content from around the world is to use a VPN, or virtual private network. ExpressVPN is a superb option for Australian VPN users, with more than 2,000 servers in 94 countries operating at high speed. It is strong on privacy: it is based in the British Virgin Islands, a tropical paradise with no data-retention laws. Therefore, you can sleep easy knowing your activity won’t be logged. NordVPN is another ideal VPN for Australia, with more than 3,700 servers in 62 countries operating at high speed and without bandwidth limits. It promises zero logging, as well as double encryption (which funnels you you through two VPNs), and a tool to block suspicious malware. ZenMate has been downloaded by more than 40 million users around the world, and Australian VPN users can also benefit from its service. ZenMate has servers in 30 countries. It is based in Germany, where companies are forbidden from storing customers’ IP addresses and personal information. Hotspot Shield is another one that stands out for the level of its security and speed. It offers more than 1,000 servers in more than 20 countries, and it doesn’t limit the bandwidth of its customers. It promises to never log your activity, and its total activity encryption protects your data from being seen by the wrong people. Avast’s VPN service is for internet users who care more about security than about having thousands of servers. It is from the company known for the Avast Antivirus software. In addition to strong security credentials, it also guarantees super-fast speeds with no bandwidth limits and at fairly cheap subscription prices. Why do you need a VPN for Australia? Few Australians realise it, but the authorities have the power to instruct your internet service provider (ISP) to hand over certain information about internet users, such as the IP address the user was connected to at the time of sending or receiving communications. In 2015-16, the various law enforcement agencies made more than 300,000 authorisations for the disclosure of historical telecommunications data, including IP addresses. While you generally have nothing to fear if you’re not committing a crime, the only way of protecting yourself against potential snooping by the government or anyone else is to use a VPN. Another benefit of using a VPN for Australia is that it can get you around geo-blocking restrictions. 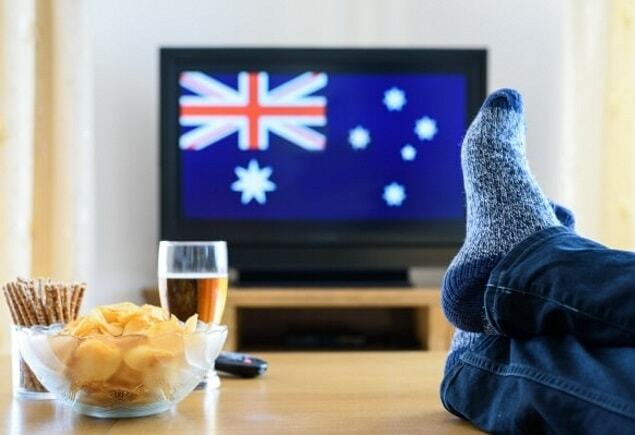 Many streaming services, such as Netflix, Amazon, and Hulu restrict certain content to Australian viewers. With a VPN, you can connect to a server in the US, UK or elsewhere while being physically in Australia, and these services will treat you as if you were viewing from LA, London or Delhi and not from Sydney, Melbourne, or Alice. You would have thought that by 2019, live sporting matches from the top leagues and tournaments around the world would be available to everyone regardless of where they live. Sadly, this still isn’t the case, and the only way to get access to certain content is with a VPN. If you’re looking for an all-round pass that offers you access to all the best sporting action from around the world, including NBA, NFL, NHL, NCAA basketball, English Premier League, and UEFA Champions League, then the best way to get access is through sports-streaming services like ESPN, Hulu Sports, CBS Sports, and the BBC iPlayer – just to mention a few. With a VPN, you can circumvent any geo-blocking restrictions imposed on Australian sport fans by these services. How to Choose the Best Australia VPN? Zero-logging policy, meaning the VPN provider doesn’t keep any records whatsoever of your IP and browsing history. Servers in the countries where your favourite content is aired. For example, if you’re looking to access content that is aired only in the U.S., you’ll want a VPN provider that offers multiple American servers for you to choose from. Super-fast speeds that make the National Broadband Network seem relatively slow in comparison. A free trial period or 30+-day money-back guarantee, so you can test out the speeds without paying a cent. Which Sites are Blocked in Australia? In 2017, the Federal Court ordered ISPs to block access to 57 popular file-sharing, torrenting and streaming websites. These sites include The Pirate Bay, Putlocker, Yes Movies, Vumoo, Los Movies, Torrent Project, and Watch Free. Many other countries still permit access to these sites. Therefore, Australians can still access these sites by using a VPN to browse from a server in a country where the sites are legal. Sign up for a subscription or free trial with your preferred VPN provider. Install the provider’s VPN app (for Windows, Mac, Android, iOS, etc.) or browser extension (for Chrome, Firefox, etc.). Connect to a VPN server location in the country where you would like to browse from. How to Test an Australia VPN? To test your new Australian VPN, log in to your chosen VPN service from wherever you are in Australia, then connect to a server in your chosen country and begin browsing. You should choose an Australian server if you’re only using the VPN for privacy and security, or a foreign server if you wish to access content in that country. If you’re unsatisfied with your VPN service, the good news is that most of the top providers offer anywhere between a 7-day to a 60-day money-back guarantee. One other thing to be aware of is the small chance of leaks. WebRTC technology provides browsers and mobile applications with Real-Time Communications capabilities, but it can also expose you to the potential of having your IP address exposed. For peace of mind, you can check your IP address on sites like whatismyipaddress.com and whatismyip.com to make sure your address can’t be seen. Using a VPN is a good idea no matter where you are in Australia. Whether you’re looking to protect your online privacy, get around the many geo-restrictions imposed on Australian internet users, or simply connect to even faster browsing speeds than those guaranteed by the NBN – a VPN is your best solution.